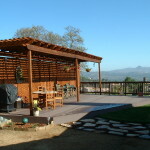 Your Patio Cover or Patio Enclosure will increase the value of your property while affordably adding outdoor living space for you and your family. 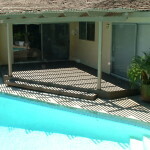 A patio cover or patio enclosure can be attached to your home or made freestanding in your yard creating a private retreat, entertainment area or landscaping focal point. 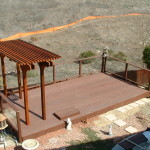 Whether you want knot-free decking, or economical timbers for a trellis or gazebo, we have the option that is most appropriate for your situation. 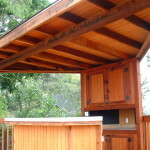 Solid roof protects from the elements. 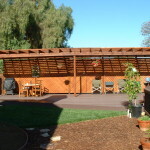 Open roof provides shade through Lattice Work. Polycarbonate Panels come in Clear, 50% or 75% Bronze and block over 98% of UV rays. Whichever style you choose your patio cover or patio enclosure will be custom-designed and custom fit to complement your home’s architecture. 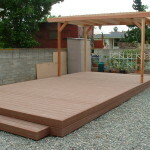 Sheds, Garages & Barns can expand the livability of your yard and garden areas. Let us help you with a design that will be unique to your life stile. 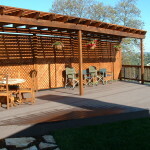 Contact Us about a custom patio deck cover or Request an Estimate on an idea for a deck cover you may already have.